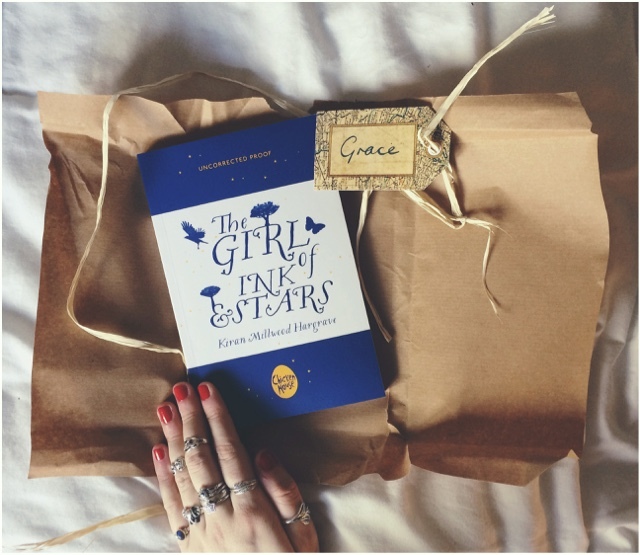 The Girl of Ink & Stars ; a review. | Almost Amazing Grace. 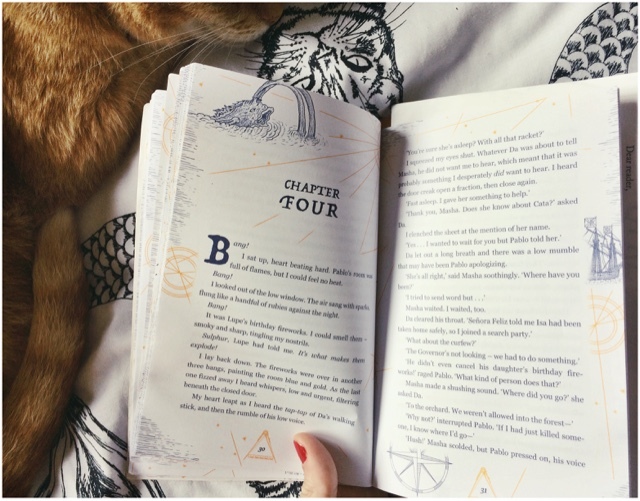 The Girl of Ink & Stars ; a review. Don't hate me, guys, but I've been in a reading slump lately that seems to have been especially...slumpish...in the fantasy genre. I'll always go for contemporary – perhaps with a touch of paranormal mixed in – when put in front of the shop shelves. Bearing that in mind, imagine my excitement and yet slight fear when my friend Kiran Millwood Hargrave tells me (at Perdita and Honor Cargill's launch party, I believe!) 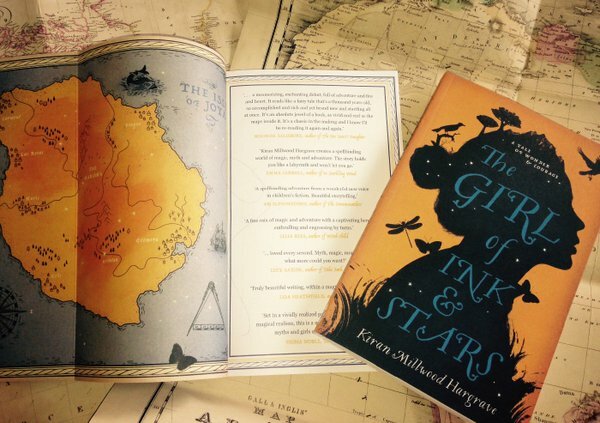 her book 'The Girl of Ink & Stars' is soon going to be winging its way to me – and it's a slightly younger fantasy novel. Fantasy! Noooooooo, what if I can't stick it out?! What if I never finish it because the magical world confuses me and leaves me cold!? Help! Isabella Riosse is the beautiful main character, who lives on the Isle of Joya and is forbidden to leave. She dreams of the faraway lands her father once mapped. Her best friend Lupe, the daughter of the terrifying Governor, vanishes into the Forgotten Territories and Isa volunteers to guide the search for her, as she feels responsible for her disappearance. She uses her skills as a cartographer’s daughter; making maps and reading the stars. The lost world awaiting the search party is a monstrous horror, far from the pretty legends – the dry rivers and smoking mountains hide a legendary fire demon that stirs in its sleep. Isabella soon realises she must be the one to save not just her friend, but the whole island. Things I loved: The pace, the language, the magic. The breathtaking ancient tales. The unique and intriguing characters. The way the story gripped me and wouldn't let go. Kiran's ingenious plot; I felt every detail and every turn. The fact that I needed a miracle to get me out of my fantasy reading slump – and this novel was just that. - I also loved any mention of burnt porridge. For some reason that made me feel happy-fuzzy. If my mad gushing recommendations aren't enough, think about the fact that The Girl of Ink and Stars was Waterstones' Book of The Month in May this year. I'm so happy about this! I was totally honoured to attend and then write about the launch at Daunt Books, too. That was a very special night. I could feel the sparkles in the air! So thank you again, Kiran, for this perfect book. You really are a star.